Out of This World Pizza Pairings: Naan bread makes the perfect pizza crust for this flavor packed pizza. Bursting blueberries create a simple sauce and Havarti is a buttery smooth cheese that melts like nobody’s business. 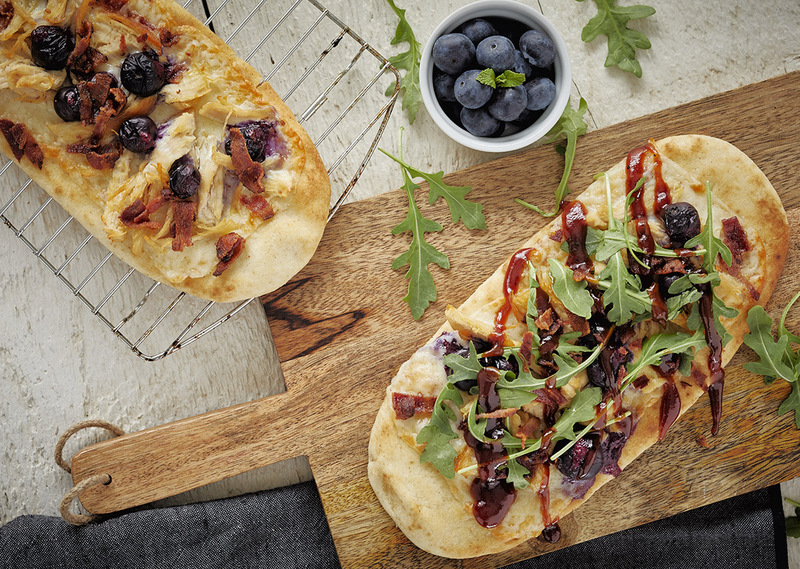 Top each piece of Naan with the sliced Havarti, shredded chicken, bacon and blueberries. Place baking rack in the bowl in the low position and place 1 Naan pizza on top. Tap the bake button and set temperature to 375°F and fry for 8-10 minutes. Repeat with remaining pizzas. Drizzle barbeque sauce over hot pizza and top with arugula. Cut and serve immediately.